Adults aren’t the only ones who are subject to pain from being active. 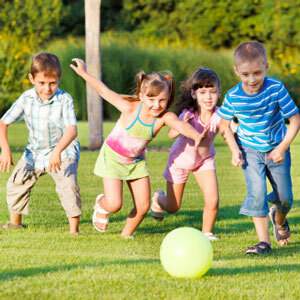 Kids, too, are affected by participating in their sports and activities. Osgood-Schlatter disease is a chronic condition resulting from a growth disorder of the tissue in the patella. As a child grows, the quadriceps muscle in the thigh pulls on the tendon connecting the kneecap to the top part of the shinbone where the growth plate is located. Repeated stress results in the tendon pulling on the growth plate, which in turn can cause pain or swelling in the knee or a lump just below the kneecap. At Body Basics Chiropractic, we work with children to stretch their quadriceps muscles, using Graston Technique there and at the patellar tendon. A strengthening of the hamstrings is essential, too, giving more stability to the area. We find that children generally recover quickly from Osgood-Schlatter’s, seeing progress within the first three visits. Usually, about 4-8 appointments in total are necessary. Contact us today to arrange your child’s first visit!